Gilmore Girls: A Year in the Life ends with the infamous final four words of Amy Sherman-Palladino. What do they mean for the series? 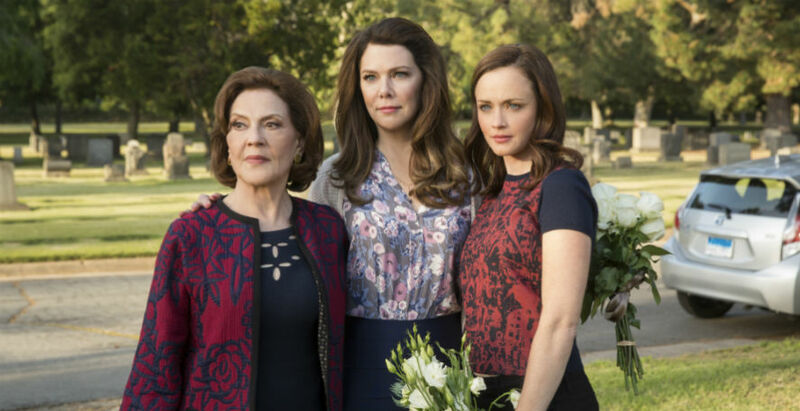 Most of the excitement for the Gilmore Girls revival surrounded the final four words. These are the words that Amy Sherman-Palladino always hoped would end her series. They were also the words that she never got to see play out on screen. Heading into season 7, Amy Sherman-Palladino and her husband Dan Palladino parted ways with the town of Stars Hollow. This meant that their time with the show left Lorelai in Christopher’s bed, Rory waving at an elevator, and Emily and Richard happily remarried. Whatever happened from there was out of their control. Enter Netflix. Now we not only have the final four words, but six hours worth of new Gilmore Girls content to break down and analyze. 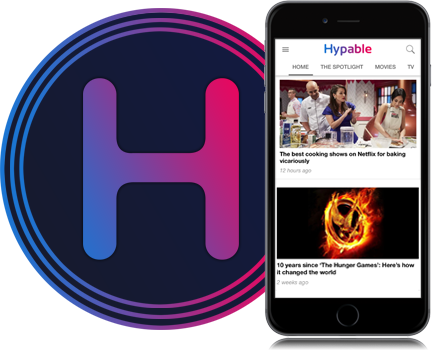 For now, our Hypable team has their eyes set on the final four words. Here’s what we think those four words mean for the series and how they affect our enjoyment of the show. I’m so torn. On one hand I feel like it’s a stereotypical cheap TV plot scheme. But, on the other hand, I love how full circle it is. This show started about a woman who had to raise a kid she had at 16, and now it ends with the kid being the one that’s pregnant. For me, the final four words seem to begin the cycle of the Gilmore Girls all over again with some difference. Clearly Rory is older than Lorelei was, but she isn’t as settled as she should be. Rory is in a state of transition and figuring out who she wants to be. The responsible, organized Rory seems to have been replaced with a girl who has no direction and is now pregnant. At the beginning of “Winter,” I didn’t think that these four episodes of Gilmore Girls were ever going to really feel like Gilmore Girls. It just didn’t seem right. Something was off and it kept me from being fully pulled back into the magic. Somewhere around the middle of “Spring” though, I suddenly felt myself fully immersed in the story and each of the characters felt like themselves again. The relief was incalculable. Thanks to Amy and Daniel, these four episodes, these six additional hours, are the gift we desperately wanted, but weren’t sure could ever truly be all we hoped. 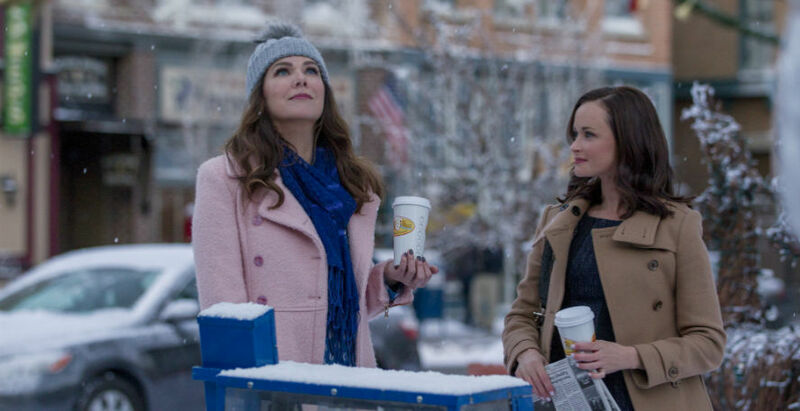 The episodes unraveled each of our Gilmore girls, taking them to the barest parts of themselves and wove them back together again even stronger than before. As for those last four words, I can only hope this isn’t truly the end. Watching them come full circle is great and all, but I want to see this new Emily’s face when Rory tells her she’s going to be a great grandmother. I want to see Rory raising her daughter and Jess possibly being the father-figure that Luke always was to Rory. I want to see Lorelai spoil her grandchild like crazy and watch Luke try his hand at babysitting. Halfway through “Winter” I forgot all about the final four words. Gilmore Girls never left my life at any point, in fact, I still think there is a DVD stuck in a player somewhere in my house. 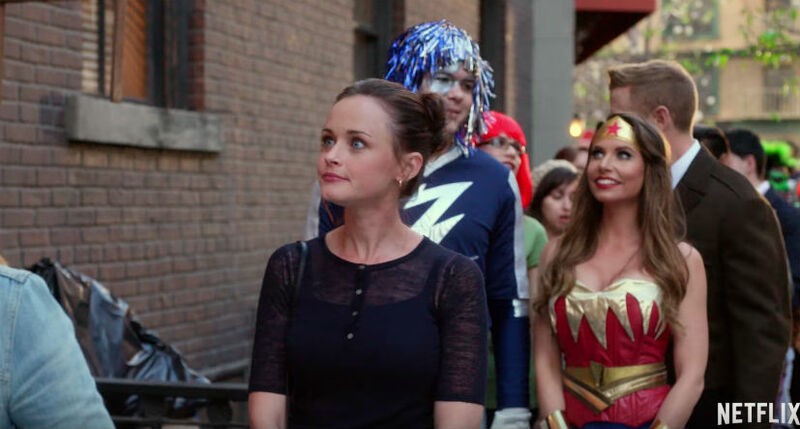 The familiarity of the pacing, the connection between the female leads, even Rory’s awful plot line, all fit. As the series wound down, I felt an immense pressure building. Would these words change everything I just saw? Would they cloud my vision of the series? In a way they did both. First, they changed the way that I saw the Rory-Logan relationship throughout the entire series. I understood early on that Rory was dating a version of her father when it came to the Huntzberger heir. He is reckless when he wants to be, successful when he needs to be, and always there for Rory to fall back on in the hard times. When he continually shows up in the revival, it’s not perfect, but it makes sense. Second, the words changed the way I looked at seasons 1-6. If Amy Sherman-Palladino had her way and got that seventh (and likely final) season Rory would have been 22 and pregnant. All things considered, she is in the same state of unemployment and just as lost. But instead of a Wookie her curve ball would have been a kid. Gilmore Girls: A Year in the Life is now available to stream on Netflix.